Adrenal Fatigue or HPA Axis Dysregulation? Do patients come to you complaining of adrenal fatigue? While widespread in popular health media, the term “adrenal fatigue” is not supported by the scientific literature. Read on to learn why “HPA axis dysregulation” is a much more accurate and useful diagnostic term. 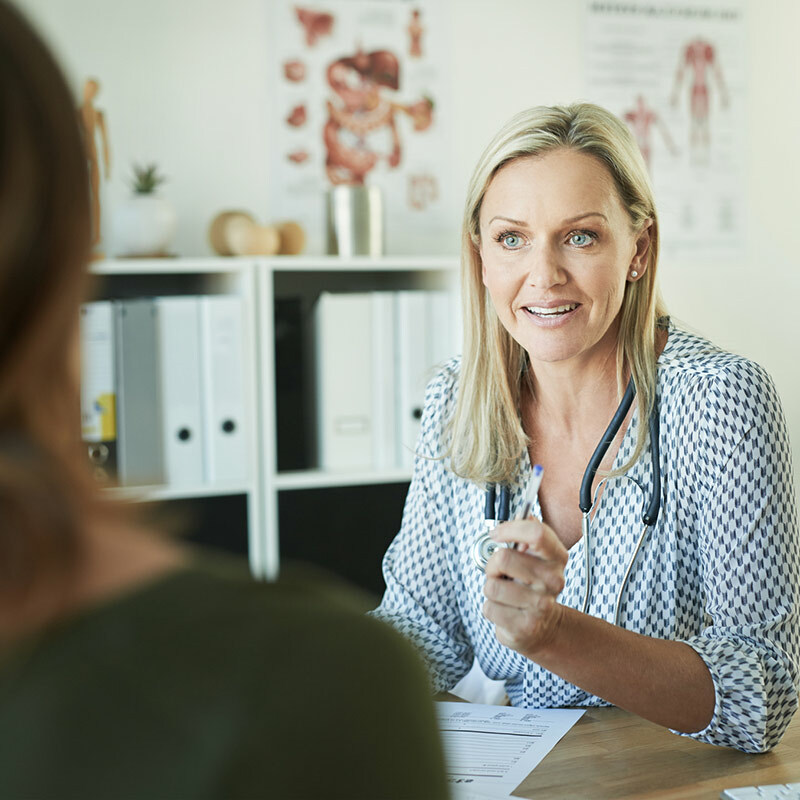 Patients complaining of fatigue make up more than 20 percent of all patient contacts in primary care, which amounts to 18 million physician visits annually in the United States (1,2). Seventy-five to 90 percent of primary care visits have been reported to be stress related (3). Despite these statistics, conventional medicine is often at a loss as to how to care for these patients. If you work in the integrative or functional medicine worlds, you are surely familiar with the terms “adrenal fatigue,” “adrenal stress,” and “adrenal exhaustion.” These terms are often used to explain not only fatigue and stress, but also a broad array of symptoms including sleep disturbance, low libido, poor exercise tolerance and recovery, weak immune function, and brain fog. The common argument is that these symptoms—and the many others attributed to so-called adrenal fatigue—are caused by chronically low cortisol levels. This idea has become so widely accepted that it’s not uncommon for patients to include “low cortisol” as a complaint on the intake paperwork they fill out before they see me. Are you still calling it “adrenal fatigue”? You might be surprised, then, to learn that the concept of adrenal fatigue—and the resulting low levels of cortisol it’s purported to cause—is not consistent with our current scientific understanding of the stress response and how it affects human physiology. In this article, I’ll discuss why the term “HPA axis dysregulation (HPA-D)” is a more accurate description of the signs and symptoms referred to as “adrenal fatigue.” I’ll also explain how chronic stress contributes to disease (via dysregulation of the HPA axis) and why addressing stress-related pathology in our patients is so important. 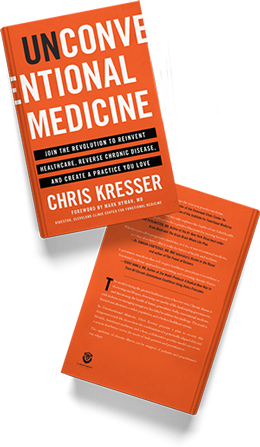 One of the central themes of evolutionary medicine is that there’s a profound mismatch between our genes and the modern environment and that this mismatch is driving the current epidemic of chronic, inflammatory disease (4). Our diet is one of the most frequently mentioned examples of this mismatch, but there is another example that I believe is every bit as important (but far less commonly recognized): our stress–response system. The stress response is primarily governed by the hypothalamic–pituitary–adrenal (HPA) axis. Stress activates the HPA axis and sets off a cascade of neuroendocrine signals that ultimately leads to the release of hormones and neurotransmitters like cortisol, norepinephrine (noradrenaline), and epinephrine (adrenaline). Over time, the chronic activation of our stress–response system erodes resilience and depletes metabolic reserve. Resilience is the immediate capacity of cells, tissues, and organ systems to respond to changes in physiological need. Metabolic reserve refers to the long-term capacity of our body to respond to these changes. The loss of resilience and the depletion of metabolic reserve lead to changes in cortisol output (most commonly too much, but sometimes too little), disruption of the diurnal cortisol rhythm (too little cortisol in the morning or too much at night), and changes in the production of other hormones and neurotransmitters related to the HPA axis, such as DHEA, melatonin, and epinephrine. As you can see, this is not simply a problem of cortisol deficiency due to weak adrenal glands. It’s a syndrome characterized by a mismatch between our modern diet and lifestyle and our innate stress–response system (5). All of these modern stressors impact the HPA axis, which in turn affects nearly every organ and system of the body, including the gut, brain, thyroid, metabolism, catabolism, and male and female reproductive system. This explains why the symptoms of HPA-D are so diverse and its effects can be so devastating. Terminology: HPA-D or Adrenal Fatigue? The concept of adrenal fatigue is loosely based on Hans Selye’s “general adaptation syndrome,” or G.A.S., which predicts changes in levels of stress hormones over time in response to chronic stress (6). Many (if not most) people with so-called “adrenal fatigue” don’t have low cortisol levels. Their free cortisol, when measured in saliva, may be low, but their total cortisol production (including cortisol breakdown products measured in urine) is often normal or even high. Even when cortisol is low, it is rarely because the adrenals are “fatigued” and unable to produce it. Cortisol production is governed primarily by the brain, central nervous system, and tissue-specific regulatory mechanisms, not the adrenal glands themselves. The vast majority of people with low cortisol have normally functioning adrenal glands; the problem is further “upstream,” in the brain and CNS. The adrenal fatigue concept is not supported by peer-reviewed, scientific evidence, nor does it align with our current understanding of HPA axis physiology. If you search for “adrenal fatigue” in PubMed, you’ll find only 12 results—and one of them is a systematic review published in 2016 called “Adrenal Fatigue Does Not Exist”! In contrast, if you search for “hypothalamic pituitary adrenal axis” in PubMed, you’ll see more than 19,000 search results, featuring studies linking changes in the HPA axis to everything from Alzheimer’s to obesity (7,8). In my ADAPT Practitioner Training Program, I go into much more detail on the shortcomings of the “adrenal fatigue” model, the problems with the “adrenal stress index” test commonly used to diagnose adrenal fatigue, and a more evidence-based approach to diagnosing and treating HPA axis dysregulation and stress-related pathology. 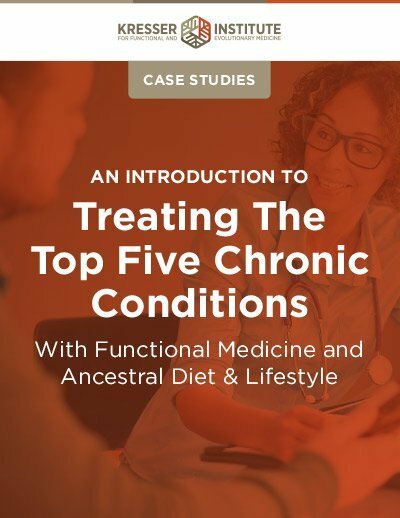 This is such an important area to master in functional medicine that we spend nearly one-third of the 12-month course covering it. 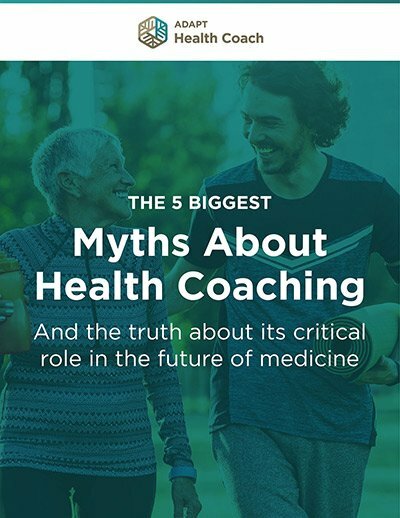 As a functional medicine practitioner and a teacher of other clinicians, I believe it’s crucial to bring ourselves into closer alignment with the current evidence base. This allows us to leverage the vast amount of research connecting HPA axis dysfunction with chronic disease. It provides a more accurate framework for understanding our patient’s condition, which enables us to focus on the many underlying causes of HPA-D (instead of myopically, and often mistakenly, assuming that low cortisol is to blame). And finally, it leads to better outcomes and reduces the likelihood that we’ll cause harm (e.g., by prescribing hydrocortisone to a patient that we assume has low cortisol, but actually has high cortisol). Now I’d like to hear from you. Will this information change how you think about or treat “adrenal fatigue”? Do you see a lot of patients with HPA axis dysregulation? Share your thoughts or experience in the comments! I am a 30yr practicing Chiro/Neuro & 20yr practicing Acupuncturist. I have always integrated diet, nutrition & exercise into my patient’s recovery programs. But I am feeling rusty & there is a good deal of new research that you seem to have a handle on. I would like to know what some options are for me regarding a fuller program in Fxn Med & Nutrition. You should check out University of Western States’ Human Nutrition and Functional Medicine Masters program. There are people of all backgrounds in the program, including chiropractors, nurses, dietitians, non-practitioners, etc. I was someone who was diagnosed with extremely low cortisol – which seemed to account for how sick I was – and I was treated with a campaign of sublingual pregenolone and licorice, as well as a lot of adaptogens, all at once. And I nstead of helping, this treatment actually caused a huge crash where my heart started racing uncontrollably, but I became so weak I was mostly unable to get out of bed or feed myself or walk more than a block without assistance. That sorry state lasted for two years, until I started LDN, which resurrected me. I’ve had trouble making sense of what happened. Do you (or anyone here) have a good idea? Is it because, per this article, perhaps I actually had very high cortisol? And stimulating the adrenals even more was just too much? Another question I have is about the traditional understanding of low cortisol. My observation has been that even though the actual levels technically may be higher according to the new science – most people who do come back with low cortisol using the four point salivary test do fall into that sicker category, whereas people who have higher cortisol (using the old tests, not the DUTCH tests) tend to be the more wired & tired folks. So would that not mean that even though technically the levels might be different than what the tests say, the test is still useful in determining what stage of dysregulayion/sickness that person is in? Thank you for being such a good guide for all of us. Just read your comment re HPA dysfunction and LDN with interest. Would be good to know more i.e. how long you’ve been taking LDN for? Dose of LDN and your original symptoms? Do you have a program that can be purchased or a series of teachings on this? I listen to you podcasts but would love to go deeper into HPA axis dysregulation. I would love to see a course on this for medical, non-prescribers. I specialise in helping people recover from CFS, ME, adrenal fatigue, glandular fever, PVFS, IBS, depression, anxiety and more. I find there are 2 main causes for the fatigue (plus underlying pre-causative factors): (1) over-doing it for too long, being overly stressed and exhausting the adrenals physiologically and (2) not dealing with emotions, suppressing emotional energy, which blocks energy flow and causes exhaustion. because it takes energy to block emotional energy. Both factors need to be addressed. I would like to discuss some issues with you. Would like to contact you regarding your work with adrenal fatigue patients. For definite I have been suffering with this for 8years or more…..
I’m currently 38years old and on a mission to get to the bottom of my symptoms once and for all. Would love to speak to you directly. Fantastic article. Although I follow a great many natural medicine websites, I had never heard of HPA-D until now – and it makes SO much sense. Thank you, Chris, for putting this out in the public domain where hopefully many others will see that it is not Adrenal Fatigue that they are suffering from, but a whole system breakdown called HPA-D! Is there any scientific evidence to back this up? Reason I ask, is if you search it, just like ‘adrenal fatigue’ , the results are all naturopath websites. I couldn’t get one search result that led to any scientifically based data that backs up this correlation. Now I’m not saying that you’re not on to something, it just seems a bit peculiar. There are several articles published by the medical profession on HPA axis dysfunction and a variety of related health issues. THANK YOU! I am so tired (fatigued?) of seeing the ridiculous concept of adrenal fatigue everywhere I look. Why do so many people believe in an idea that runs entirely counter to human biology? Using that “logic,” we should stop exercising because our heart and lungs will get “tired” and not work correctly anymore. Of course, adrenal insufficiency is a real thing, but when I hear the symptoms of so-called adrenal fatigue – weakness, depression, inability to lose weight, sleep disturbances–this sounds more like HIGH cortisol than low cortisol. And high cortisol, how is it treated? Very high cortisol (Cushing’s syndrome) is typically caused by a pituitary or adrenal tumor, but what about people who have only moderately elevated cortisol or, as you say, HPA axis dysfunction, and Cushing-like symptoms? It doesn’t seem medical science has any answers for them. My understanding with the idea of adrenal fatigue is that it’s constant elevated production from an organ whose role is cyclical production. It’s a similar concept to Type 2 diabetes progressing to dependence on exogenous insulin. The constant production of insulin several times over what’s normal eventually burns it out. The heart and lungs are designed to run constantly, but even they have their limits if run at, say 60-80% of maximum capacity 24/7. Though when it comes to exercise, one usually runs into muscular and CNS limits before that when operating at that level. There’s a reason the workout communities harp on the importance of rest days in order to see gains. That said, I agree with you on the symptoms being of high cortisol, not low, making the idea absurd on that front. A simple dexamethasone suppression test can illustrate that (in my experience). But yeah, good luck getting non-Cushings high cortisol even diagnosed, let alone treated. DST drops your cortisol like a rock? Congrats! You don’t have a tumor! There must be nothing wrong with your cortisol production, even though you’re reporting symptoms of cortisol on the low end of high. It’s not clinical, even if it is interfering with every aspect of your life, so… Good luck. If you come across any info on non-Cushings cortisol dysfunction, please share, because I’d love to know and find a way to get my doctors to take the idea seriously. Excellent article! It’s refreshing to see a scientifically accurate explanation of so-called “adrenal fatigue” and the reasons behind it. I have been on medrol then prednisone for 4 years for cardiac sarcoidosis, and can’t get off of them due to withdrawal. I have had VT storm every time I get to 10 – 6 mg. I have Very complicated history and amioderone induced hypothyroidism. I have recently constantly been vascillatibg between being really cold and flushed hot, with fatigue and brain fog. I’ve been closely paleo for 8 weeks and have been organic most of my adult life. I need a really good endochrinologist that could help me figure out how to get off steroids. Any suggestions. I’m a uk Osteopath but have recently had immense fatigue, odd weight gain, brain fog, some odd msk pain (esp Achilles and feet) etcetcetc following a very strong flu at the start of the year. We have done the battery of tests: low vit d has been addressed; thyroid clear, no diabetes, now considering cortisol levels. These came in at 666 which quite high. The endocrinologist has given up as he says there’s no endocrine reason for all this – has put it down to post viral fatigue (even though I went into that flu feeling fatigued already) and is referring me to a rheumatologist to discuss having hydrocortisone injections…. Wondering – is this a great idea?! And if not, what now instead? Would appreciate any thoughts or comments you might have please. Could you have chronic mono/ebv? All your symptoms are consistant. Perscription iodine to cell saturation (100mg and up–not a few drops) bullet proofs the cell walls so ebv cant replicate and continue to wreck havoc. 6 weeks of iodine to cell saturation. Most feel better w in a few days starting at 50mg. Not kelp. Not store bought. But compounded strong iodine iodide of 6.25mg per drop from pharmacy. Hi, love the article so true. Five years ago I was termed with AF but ended up fixing myself with lifestyle, diet change, TADS, proper nutrients and macro and micronutrients, primary basic supplements. Unfortunately we had mold and after the stress of this year, hit rock bottom, low aldosterone (diabetes insipidus), acth and thyroid levels low. Became very ill, low dose of compound 15mg of pregnolonone and 15 mg of DHEA, a week ago, has helped tremendously along with upping my cod liver oil, now I lowered my magensium as I was sodium dumping, but pee much less and only use the medication for peeing once a day. However big signs of mag def. so have had to up from the only 200 mg and man that made me feel horrible. That being said I started still crashing, seeing functional doctor who helped me this Friday. I could feel I would not make it until then was lucky enough to see a seasoned walk in doctor in Canada who put me on 8 mg of dexamethosone, and I use chromium and ALA so sugar not up as I stay away from that too. But when I talked to the doctor via email he had suggested LDN, interesting to hear this and read from someone else. Because of past stressors from a very tramautic childhod worked out with EMDR, and my close brother’s illness and death and then the mold illness and mast cell, I know HPA is messed up, I tradionally know about AF, have been in naturopathy for 3 years and experienced but as you say am leaning more and more to the HPA axis function and believe many others need to know more and be aware including Endocronologists who wait until you are Addison’s or Cushings to even do anything. Will you or do you offer a course on this? I have utilized in clinical practice and taught about HPA axis dysregulation for years. Despite the presence of various patterns of cortisol/DHEA levels and how one types them out, far too much emphasis has been placed upon this data in an effort to treat patients complaining of adrenal fatigue/exhaustion. A huge compliment of etiologies drives HPA-D. You can look at glycemic dyregulation, HPT dyregulation, dysbiosis of the gut and others to make your case as to why HPA-D is occurring. First and formost is to understand that perpetuators drive HPA-D and that the system does not falter on its own. As any good FM practioner knows, seeking root causes is our mantra. discord. Failure of ones adaptive capacity is more often driven from this state than any other. Methylation defects that give rise to impaired neurotransmitter production can hold the key for many patients in this population. Determining global methylation status can be pivital here. Assessing Zinc and Copper status is equally important as many of these patients suffer from copper dominance and high oxidative loads. High copper drives the conversion of dopamine to Norepinephrine according to William J Walsh PHD. This alone creates elevations and the persistence of high cortisol. Seek for the answers from higher centers of the brain and how they are influenced by the bodies chemistry and micronutrient levels and you will surely be on the path to healing the HPA-D. Very interesting read and could be helpful. I just started on Hydrocortisone, and I am not sure how to unravel all of the mess my body is in and if I should trust this med. The term adrenal fatigue is helpful for the layperson struggling with hpa axis disregulation. They can understand and relate to adrenal fatigue and this understanding can help connect people with help. It is important to speak the language of my clients first then I can explain the details of hpa axis. Can you imagine your mechanic looking for help for hpa axis disregulation? No, but he or she may look for help for adrenal fatigue. Thank you, Anna, for your very helpful comment. Huge numbers of people, including myself, have been helped by calling it “adrenal fatigue”. Nice article except the Hans Selyes at General adaptation syndrome theory is actually completely correct! That is exactly how the adrenal fatigue stages work! Your article mentions-but does not go into detail regarding- the connection with cortisol and the brain and central nervous system. 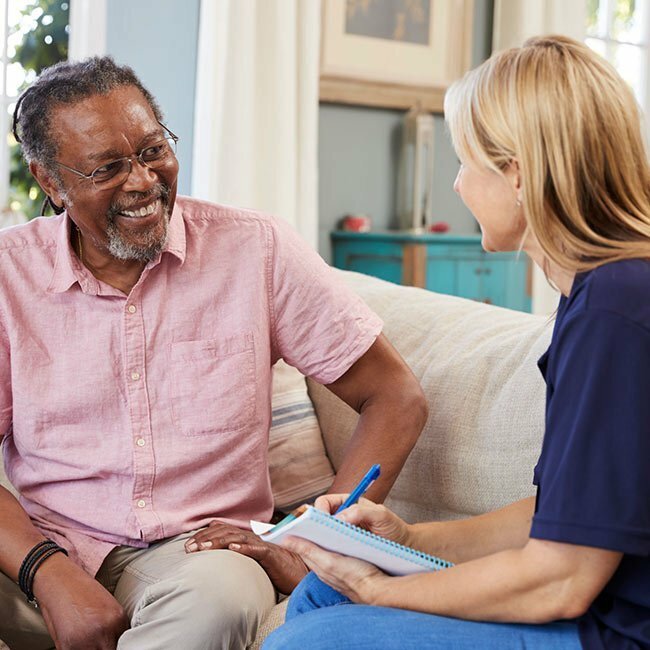 What kinds of tests should I ask my HMO to perform? A brain scan? Thank you so for your advice and insight for so many “lost” people. HMO’s have failed too many people; we desperately need your help. If my 4-point saliva tests show that my cortisol is low, how do I know if is actuallly high? I don’t want my ND to prescribe HC or other supplementation if my urine cortisol is actually high? This seem like a multi-step test and multi-faceted situation. I was premed and opted out of going into medicine due to my family friends that were old timers concerned about the direction of medicine in the mid1980s. Since that time I have coached from business, family and health. If Functional Medicine was available I would have become a doctor. I did not have Mono all through my childhood, and was diagnosed with CFS in my early 20s. My father and daughter have been as well. Since 2009, I have had extreme cycle of HPA-D and was finally diagnosed in 2013. Life management is vital and can function symptom free with management. When life happens in extreme ways my system crashes. Different protocols allow me to get back on my feet. Thus, a maintenance protocol and crisis protocol is just part of my lifestyle management plan. The insight about HPA-D and working with a variety of stealth microbes has helped me with the navigation of my own functionality. I believe that more information is needed into extreme chronic stress, early childhood trauma and complex PTSD and the effects on the system to include HPA-D, PAN, PANDAS and other neuroimmunological concerns. My personal theory is that since psychological abuse is not illegal or criminal, and used in war, government and the private sector, there has not been enough public funding to understand, protect against and heal from these kinds of stressors. The link of toxicity, stress and trauma has not organically expanded in our cultural consciousness due to the top secret nature of stealth operations. Now we have a health crisis from this artificial manipulation and control of stress thresholds and systems fallout. Now we are scrambling to catch up on things that have been withheld. Thank you!